Using a cohort study, Hou and colleagues compared the rates of visual field (VF) loss and retinal nerve fiber layer (RNFL) thinning in primary open-angle glaucoma (POAG) patients with or without type 2 diabetes mellitus (DM). Investigators compared 55 eyes with POAG and DM to 142 age-matched eyes with POAG alone. Type 2 DM participants were defined by self-report of DM history and use of antidiabetic medication, which in most cases was metformin. Investigators compared rates of VF loss and RNFL loss between groups using univariate and multivariable mixed-effects models. The median follow-up period was 5.7 years. The mean rate of global RNFL loss in the group with POAG and DM was two times slower overall than in the group with POAG alone (-0.40 µm/y vs -0.83 µm/y, respectively; P = .01). Although slower rates of VF mean deviation and pattern standard deviation loss were seen in the group with POAG and DM, the differences were not statistically significant. Researchers concluded that patients with POAG and treated type 2 DM who had no detectable diabetic retinopathy had significantly slower rates of RNFL thinning than those not diagnosed with DM. • In this cohort study, the retinal nerve fiber layer thinned two times more slowly in patients with primary open-angle glaucoma (POAG) and well-controlled type 2 diabetes mellitus compared with age-matched patients with POAG alone. • The prevalence of diabetes is increasing among patients with POAG. The effect of diabetes on glaucomatous progression is not well understood, and results of prior studies have been contradictory. This study sheds light on the effect of well-controlled diabetes on POAG progression. How well controlled was patients’ diabetes in this study? The participants in the POAG-DM group can be regarded as a population with well-controlled type 2 DM. The study excluded individuals with any sign of diabetic retinopathy or diabetic macular edema so as not to confound results with regard to RNFL thickness or VF changes. In addition, the study excluded eyes that underwent retinal laser treatment because they would have iatrogenic retinal damage and iatrogenic VF abnormalities. Because patients had to conscientiously self-report the diagnosis time and the medications they were taking, the study included only patients who were highly educated about their diabetes. What are the potential mechanisms by which well-controlled DM could protect patients against glaucomatous progression? Investigators postulated that VEGF overexpression in the diabetic retina could protect patients against glaucomatous damage as part of the body’s strategy to rescue and protect retinal neurons. Another possibility is that antidiabetic medications, particularly metformin, which 84.4% of the diabetic patients were taking, could have protected them against mitochondrial dysfunction and retinal ganglion cell loss. Melgarejo and colleagues studied whether nocturnal blood pressure (BP) parameters (low levels or extreme dipper status) were associated with an increased risk of glaucomatous damage in a Venezuelan population. This observational cross-sectional study enrolled 93 participants. The researchers made their assessments with OCT imaging, VF tests, 24-hour BP measurements, in-office BP measurements, and applanation tonometry. Participants had IOPs of less than 22 mm Hg. Of the 185 eyes evaluated, 49 (26.5%) were found to have or to be suspicious for glaucoma. The investigators used logistic regression analyses to examine the relationships between glaucomatous damage and BP parameters. Results of multivariate models indicated that glaucomatous damage was not related to the average systolic or diastolic BP levels measured over 24 hours, during daytime, or at nighttime but rather to extreme decreases in nighttime systolic and diastolic BP (odds ratio, 19.78 and 5.55, respectively). Extreme dips in BP were defined as a nocturnal change greater than 20% compared with daytime BP. Melgarejo and colleagues concluded that the link between nocturnal BP and glaucomatous optic neuropathy was determined by extreme dipping effects rather than low nocturnal BP levels alone in the population studied. • Investigators compared nocturnal blood pressure (BP) parameters in patients with healthy eyes to those in patients with glaucomatous damage. Eyes with glaucomatous damage were associated with extreme dips in nocturnal BP rather than nocturnal hypotension alone. • This study suggests that measurements from 24-hour ambulatory BP monitoring can help clinicians to identify individuals at risk of glaucomatous damage. 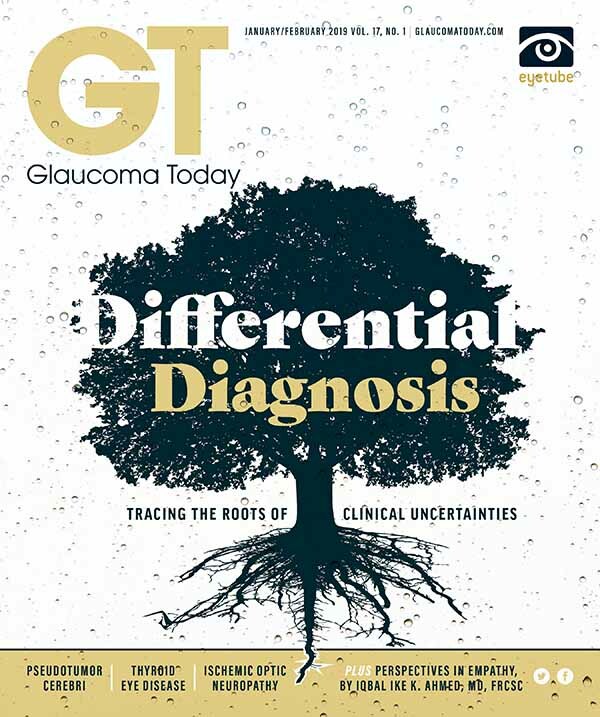 New approaches to avoiding the extreme dipper effect, such as changes in the timing of antihypertensive drug intake, might be effective in glaucoma management. To obtain 24-hour BP measurements, the investigators used a device (validated oscillometric 90202 or 90207, Spacelabs Monitors) that was programmed to obtain readings every 15 minutes during daytime hours (06:00–22:59) and every 30 minutes during nighttime hours (23:00–05:59). In-office systolic BP and diastolic BP were obtained by a trained nurse after participants had rested in a sitting position for 5 to 10 minutes, and the average of five consecutive BP measurements was used. How did BP differ between healthy eyes and eyes that had or were suspicious for glaucoma? Based on ambulatory 24-hour BP measurements, 18.4% of glaucomatous eyes versus 3.0% of healthy eyes had extreme dipper status based on systolic BP. Patients with low nighttime BP levels did not show elevated risk unless there was an extreme dipping effect. Extreme dippers experienced a decrease of more than 20% in nocturnal BP levels compared with daytime BP levels. Why would extreme dipper status contribute to glaucomatous optic neuropathy? 1. Hou H, Shoji T, Zangwill LM, et al. Progression of primary open-angle glaucoma in diabetic and nondiabetic patients. Am J Ophthalmol. 2018;189:1-9. 2. Melgarejo JD, Lee JH, Petitto M, et al. Glaucomatous optic neuropathy associated with nocturnal dip in blood pressure. Ophthalmology. 2018;125(6):807-814. 3. Okuno J, Yanagi H. Cognitive impairment and nocturnal blood pressure fall in treated elderly hypertensives. Environ Health Prev Med. 2003;8(4):124-132. 4. Kario K, Shimada K. Risers and extreme-dippers of nocturnal blood pressure in hypertension: antihypertensive strategy for nocturnal blood pressure. Clin Exp Hypertens. 2004;26(2):177-189.